Inmarsat's Fleet Xpress was awarded the SMART4SEA Excellence Award 2017 which was presented by the Greek publisher whose special focus is safer, smarter and greener shipping. The Excellence Award, presented to Inmarsat after the SMART4SEA Conference in Athens on January 31st, recognizes the organization best able to demonstrate technological excellence in smart maritime activity during 2016. 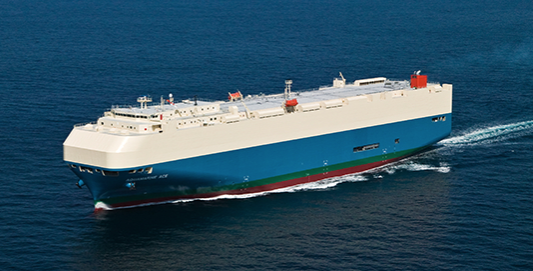 Fleet Xpress, launched in March 2016, provides fast and reliable service for ship-to-shore connectivity critical to the success of smart shipping applications. The SAFETY4SEA, GREEN4SEA and SMART4SEA award winners are selected through online voting, ensuring that recognition comes from industry itself. Voters in the SMART4SEA Excellence Award 2017 category selected Fleet Xpress for its role in advancing shipping’s technological excellence and sustainability. Fleet Xpress is powered by Inmarsat’s latest Ka-band satellite constellation, Global Xpress, and the reliability of L-Band. The service is augmented by the Inmarsat Gateway, which hosts business applications for operations that currently include voyage optimization and video surveillance. Inmarsat is also working with Singtel’s Trustwave to develop a ship-specific managed Unified Threat Management (UTM) cyber security solution which will launch in a few months, and this will be offered as a standard option of the Fleet Xpress service. 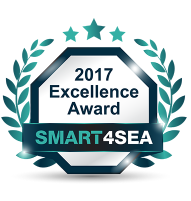 Securing the 2017 SMART4SEA Excellence Award 2017 rewards the hard work that went into the years of ground-breaking innovative development leading up to the commercial launch of the Inmarsat Fleet Xpress in 2016 and a commitment from over 7500 vessels to use the service,” says Drew Brandy, Senior Vice President, Market Strategy, Inmarsat Maritime. “Fleet Xpress brings the high-speed data, seamless global mobility and continuous connectivity to shipping that deliver greater operational efficiencies. SAFETY4SEA voters include some of shipping’s largest ship owners and managers. It is an honor to emerge victorious from such a strong field and a very high quality shortlist including acknowledged technical innovators in shipping”. “Fleet Xpress has also been recognized for the way it provides better connectivity with family and friends, video on-demand, social media, online training and telemedicine, which not only changes life on-board, but also minimises the administrative burden,” says Apostolos Belokas, Managing Editor of SAFETY4SEA.